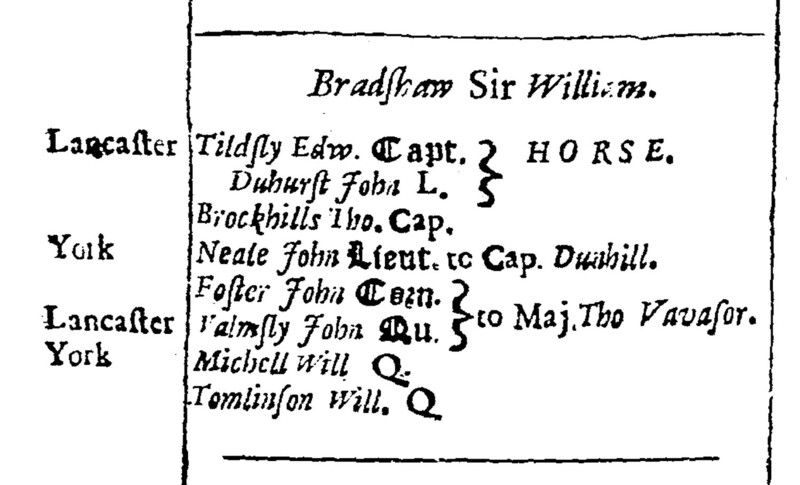 As noted in a previous post, in 1663 Henry Brome published a list of the officers entitled to share the £60,000 made available under a statute to those officers who had served Charles I and Charles II. 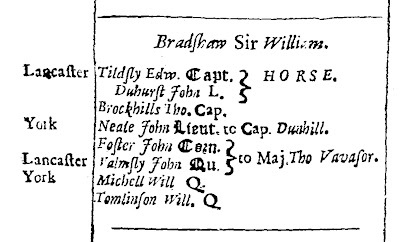 Edward Tildsly is presumably Edward Tyldesley 1635—1685, though he would have been a minor at the time of the English Civil War. In addition to being eligible for a payment under the statute, he was also one of those listed to become a Knight of the Royal Oak before the creation of this new order was abandoned. The list also included Sir Thomas Tyldesley 1612-1651.